Editor’s Note: As part of our week highlighting PrimeTime Lacrosse’s events, we are taking a look at where they host their events. 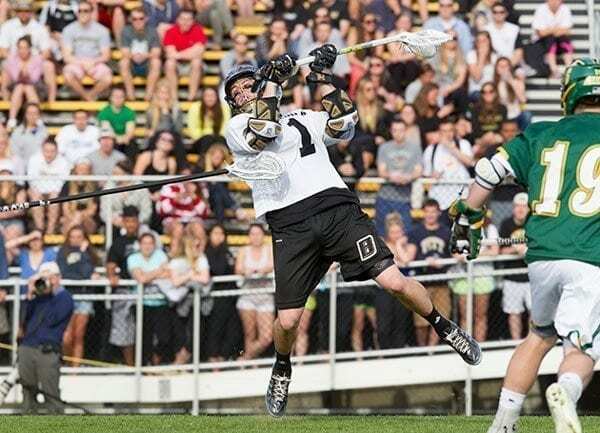 Today is a look at the Bryant Bulldogs out of Bryant University. 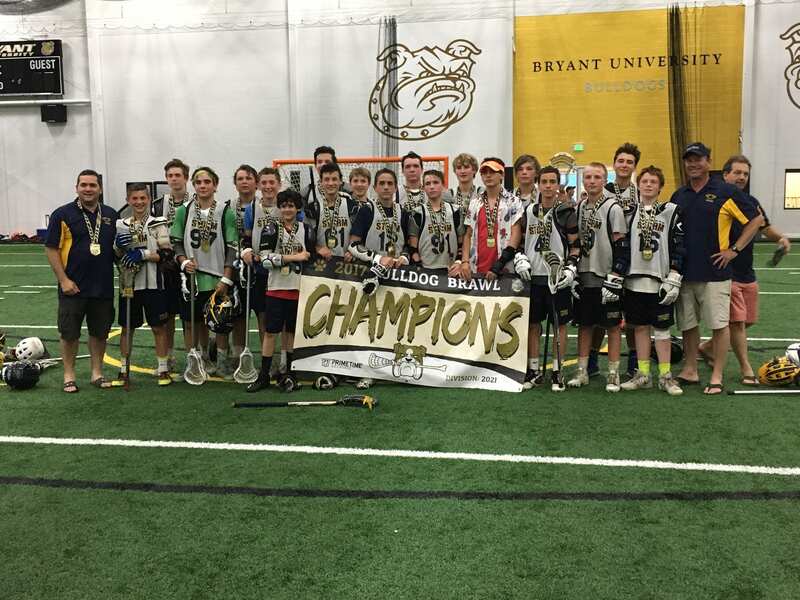 After claiming four-straight Northeast Conference Championships from 2012-2015, the rest of the conference seems to have caught up to the Bryant Bulldogs. They did win again in 2017, but overall, the conference is starting to become much more competitive. The teams the Bulldogs are now facing are not just pushing for a conference championship, but they are now making appearances in the NCAA Division I media poll throughout the season. 2018 champ Robert Morris was really turning heads, and Saint Joseph’s is not far behind. The result? Bryant now has to make major moves throughout the entire season to have hopes of making the NCAA tournament again. When the words Bryant and NCAA Tournament are said in the same sentence, memories immediately are recalled from the Carrier Dome, where the Bulldogs scored one of the largest opening-round upsets in history. The year was 2014. Syracuse was coming off of a NCAA Championship Game loss to Duke the previous May, and played their way to being the No. 2 seed of the tournament. The Bryant Bulldogs were able to top the Orange in the Dome, which still has echoes ringing in the CNY. But that memory is fading on the Bryant Campus. Since that year, Bryant would make the NCAA only two more times. The next year, they would lose down at Marist in the play-in game. In 2017, their matchup was against eventual champion Maryland, which is about as tough of a draw as you could ask for. The road back to the NCAA will only get more difficult in the coming years as the NEC is undergoing a massive expansion. They are adding recent Division I program New Jersey Institute of Technology to the list, as well as future Division I converts Merrimack and LIU-Post next season. Both have strong histories at the Division II level, notably Merrimack being the reigning Division II champion. They will push the Bulldogs immediately. For Bryant, that’s so far off, it’s not worth looking at too closely right now. Their goal is to take the 2019 season and turn it into another NCAA appearance. So, how do they get there? First up is taking a look at how to replace their talented seniors who left after last spring. The first loss there is Kenny Massa. Going back to that Syracuse upset, where his brother Kevin was dominant, the Massa name has been making an impact on this campus for years on faceoffs. A new face there is going to take a little getting used to. Another big-time senior was Tom Kennedy, who was drafted by Major League Lacrosse’s Boston Cannons and did play in a handful of games despite the crowded lineup. Replacing Massa is by far the biggest task. He took all but six faceoffs in 2018, and five of those were by longpole Jake Fiske. Right now, the likely candidate will be James Stoler, the junior from Penfield, New York. Even though he’s a collective 1-9 at faceoffs over his two season in Smithfield, that is enough to qualify him for the most experienced on the team at this spot. Goalie James Beimfohr looks to be the one between the pipes going into the 2019 season.While he did not start every game (senior James Werner did step in for three last year), he was seeing the lion’s share of minutes. He pulled in a 48% save percentage, good for 46th in the country last year. In a conference where they had three goalies in the top 10 nationally in this category alone, that is cause for concern. The solution? There is now more pressure on the defense to step up and limit the shots Beimfohr will have to deal with day in and day out. Fortunately for the Bulldogs, their team’s leadership is coming from that side of the field. SSDM Will Hamernick and defender Jack Horan are both captains, and will both help organize the defense looking to improve from their middle-of-the-pack, 28th-ranked defense in terms of goals against last season. Unfortunately, they lost quite a bit of their defense, so it will be up to those two with Junior Zach Coffey to shore up the defensive side of the ball. Captain Kevin Quigley will help guide the offense, who was ranked 21st in the country in terms of pure goal production from a season ago. They return top goal scorer, Mark O’Rourke, who was just a freshman and still contributed 33 goals. In fact, their offense is returning most of their production, which bodes very well for the Bulldogs. Aside from Quigley and O’Rourke’s combined 62 points, among their top-10 producers, only three left, so they keep over 60% of their offensive production. Seeing who steps up to fill Cam Ziegler’s 46 points at attack will be one of the bigger questions to answer.